Inspired by French style furniture dating back to the 18th century, this Provencale Louis XV style hall table is a wonderful addition to any home. 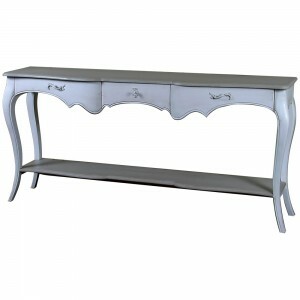 Finished in antique white and distressed with a light patina, this piece is ideal for giving a room a sophisticated ambience. Constructed from mahogany, this piece is designed with durability that will last a lifetime.